For more than three decades, Tom Drahozal has been a steadying influence and a quiet leader in the Upper School — or perhaps, when it comes to the basketball court and the baseball diamond, a not-so-quiet leader. 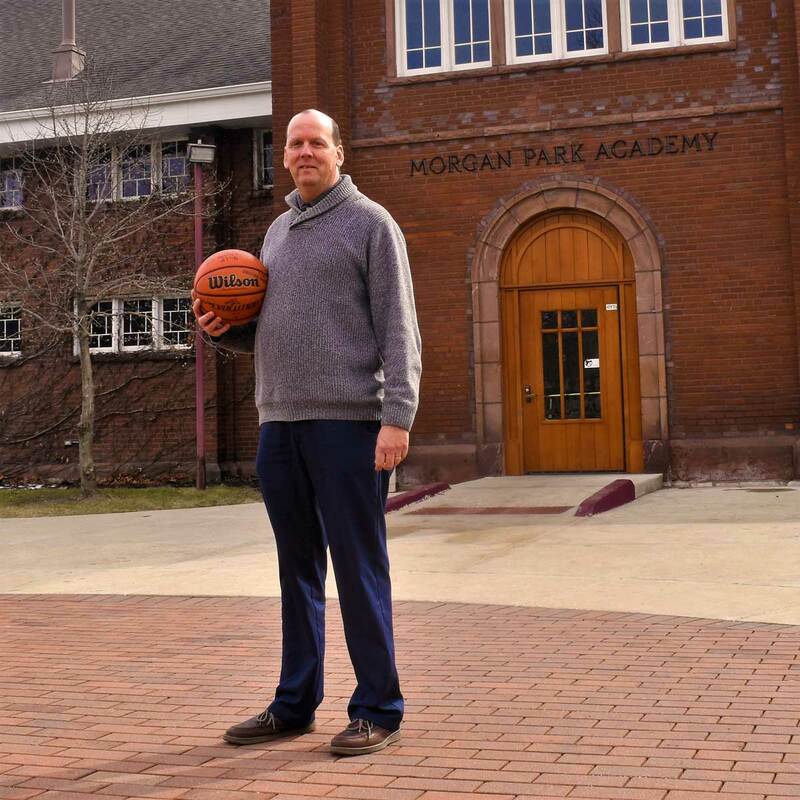 His impact on generations of Morgan Park Academy students since 1987 has been immense, as a history teacher, a coach, and since 2010, our Upper School principal. What do you like best about working at MPA? The students and my colleagues are what I like best here. Being able to build relationships with my colleagues that many times extend beyond the classroom has been rewarding. With the students, the diversity of MPA is second to no school. 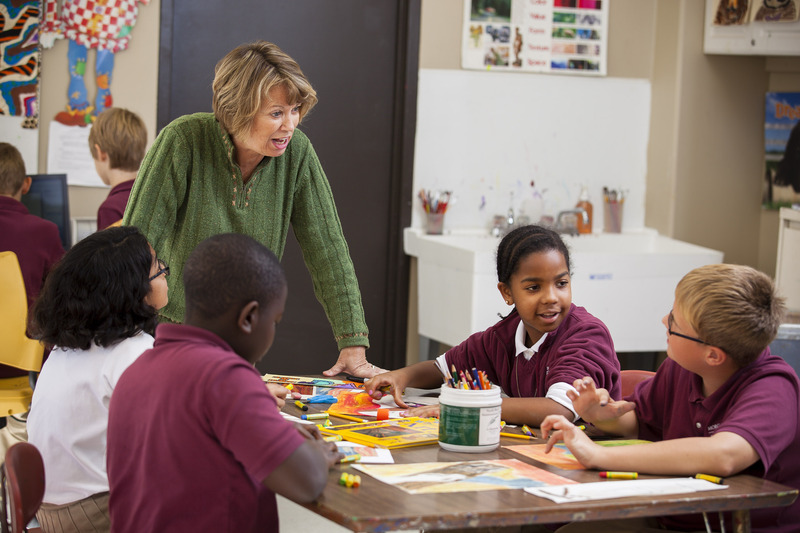 The small class sizes allow for teachers and students to interact on a level that you do not see at bigger schools. This positively impacts the learning experience for both the students and the teachers. What does MPA mean to you? Why have you made it such a key part of your life? MPA is like a second home for me. I have been here for 31 years now and I like coming to work here every day. In the field of education, you always get a new group of students every year and that keeps things fresh. I have a strong loyalty to MPA and I feel that the school has a strong sense of loyalty to their teachers too. Just like any teacher, I care about them, want nothing but the best for them, and will push them to reach their potential. At the end of the day, we have all chosen to be teachers to help develop the next generation of leaders. I think we do that well at MPA. What about MPA has changed, and what has stayed the same, since you first began working here? Head of School Mercedes Z. Sheppard is similar in many ways to the Head of School who hired me, David Jones. Both of them began at MPA as teachers, and as such, they had as Head of School a deep knowledge of the culture of the school and an appreciation of its history and traditions. The biggest changes I have seen here are the improvements to the campus and the classrooms, the increased use of technology, and the addition of more international students to the Upper School. What does it mean to you to stay in touch with alumni after MPA? I always enjoy staying in touch with our alumni. It is important to see that alumni have a connection to MPA and are always welcome to come back and visit. From a personal standpoint, one of the most rewarding parts of being a teacher is that you get to see how successful your former students have become. A teacher can look at the success of his former students and realize that he had a small part in that success. It is always nice to get an email or message from a former student, out of the blue, to just say hello or to let you know that they remembered you and the impact you had on them. Many of those alumni played for you in basketball and/or baseball, right? In my experience, coaching is where many of the strongest relationships with students develop. In basketball, we spend more than six months together, starting in the summer and extending through the winter season. Many times we are a second family to each other because we spend so much time together. We even play over the Thanksgiving and Christmas holidays, so that is a bond that is really special. Many of my former players continue to stay in touch. I will always appreciate, for instance, hearing from Kareem Daniel ’92 after I got my 400th career win in girls basketball. He is a top executive with Disney, so it meant a lot to me that he took time out of his incredibly busy schedule to send me a text message. Another great memory was my 50th birthday in Las Vegas, when my wife, Dianne, coordinated with Jaclyn Mortimer Latteri ’01, one of my former players, to throw me a surprise party. What experiences or people had the most influence on you? 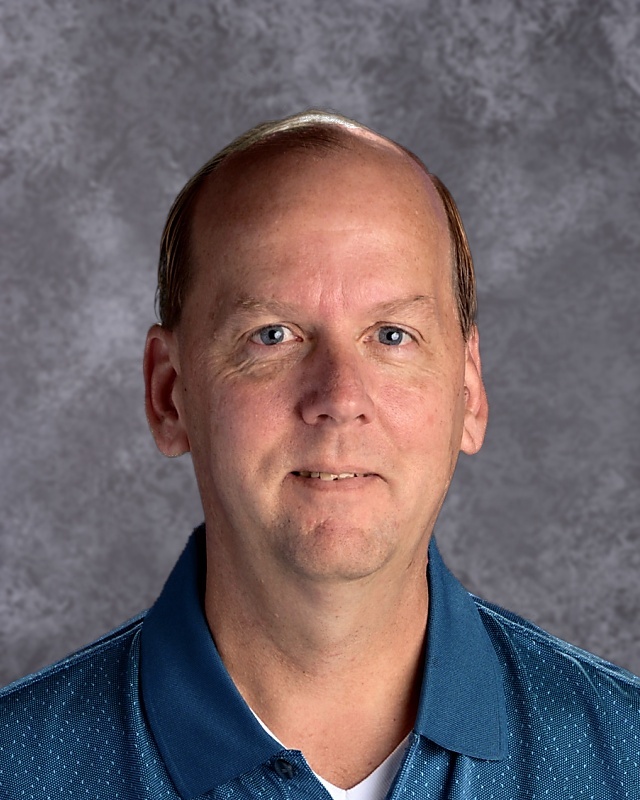 Some of the colleagues who have influenced me the most are Mr. Jones, Mrs. Sheppard, Bob Stelton, Martin Wolf, Tony Churchill, Dalyn Drown, Emily Drown, John Torrez, Mark Linnerud, Lynda Pariso, and Francie Kozacik, my assistant coach in girls basketball for more than 20 years.